Why learn to fly? Learning to fly is an experience unlike any other, great views, freedom, immense satisfaction and great enjoyment are just a few reasons. learning to fly in a microlight is also much more affordable than other forms of flying! What is a microlight? Well a microlight is a small aeroplane limited by it’s weight and the number of people it can carry! 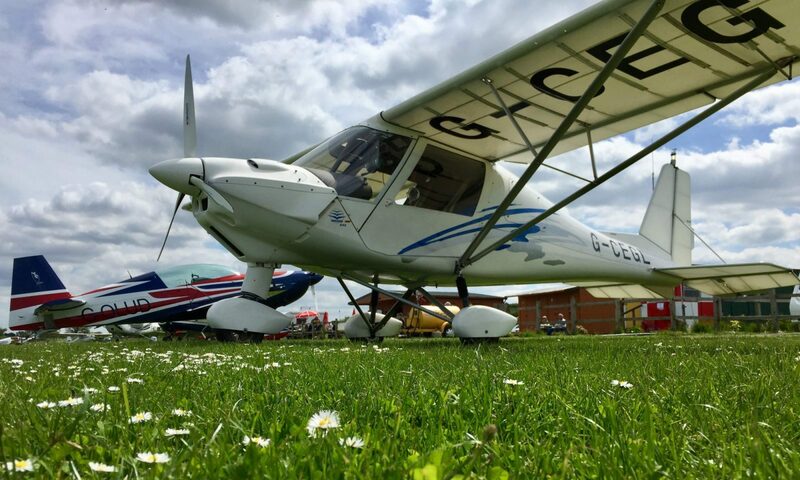 A lot of people think it is a hang glider with an engine and there are microlights that are a little like that to look at, these are called flex wing microlights. I fly a 3 axis microlight which is just like a normal aeroplane, but smaller, it is controlled in the same way using the same techniques. As you will be able to tell I’m not a professional writer and I am dyslexic too, so please don’t expect this site to be free from spelling errors or 100% grammatically correct, but I will try my best and hopefully other people and student pilots may find it of interest! ClearProp.co.uk and GetYourWings.co.uk are not associated with any other similarly named websites or any businesses. If you have a similarly named site or business and would like a reciprocal link adding please let us know.